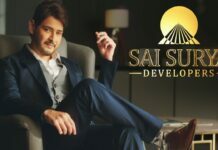 The Tollywood Superstar Mahesh Babu who is basking in the success of Bharat Ane Nenu has come forward to join hands with the NRI SEVA Foundation to sponsor a “free sports rehab center”. 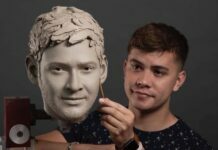 Now, Mahesh Babu is setting up another example, by lending a helping hand to NRI SEVA Foundation to facilitate Indian athletes who cannot afford rehab service. Founded in April 2012, the organization conducts free health camps in slum areas every day for and caters to almost 150 patients daily. A few months ago, NRI SEVA Foundation team approached Mahesh Babu and Namrata Shirodkar. The charity gives free health services, primarily physiotherapy. It reaches more than 45,000 patients out of which more than 2,500 are bedridden patients who suffered from a stroke (Paralysis patients) head injuries, kids with cerebral palsy, muscular dystrophy and many other pediatric conditions. Prince Mahesh Babu sponsored one of their unique program for underprivileged National Athletes “Sports Performance Assessment & Enhancement Centre”, which consists of three components such as Athlete Rehabilitation; Sports Injury prevention & management; and Fitness training methods with inputs from Sports Sciences in Gachibowli Stadium premises, to support Indian National players to win International medals. In the first phase, Athletes Rehabilitation center has been started in the stadium.